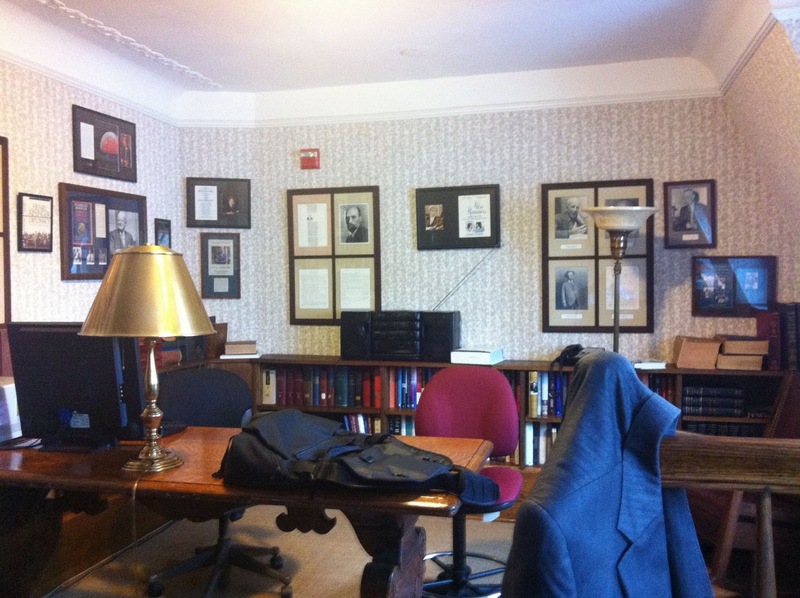 Four long stories above Massachusetts Ave NW, on embassy row, this is the Writers Room of the Cosmos Club. It’s probably my favorite place to get work done outside of my office. Today I’m catching up on an array of paperwork after finishing the NSF panel yesterday before a lunch with one of the EU science attaches here in the Garden dining room. What strikes me most about DC these days is the sense of collective denial about the sheer size of the cuts (most likely of federal discretionary spending) that will either be imposed by the Congressional Super Committee, or, alternatively, sequestered automatically. Running an Institute, with a large sponsored research budget, my strategic thinking has turned towards how to position Krasnow to both survive such cuts and even to thrive. My worry is that a lot of my colleagues in similar positions just aren’t thinking about this issue. The larger questions are first: who will be supporting basic and translational science going forward, and second: how will that happen? –Which agency portfolio’s are likely to emerge relatively unscathed? –Will there be a “despair” effect, whereby mid-ranked scientists throw in the towel, to the advantage of the very best? Finally, how can we create new novel mechanisms for supporting international collaborations?